NeurOK Software is a high-performance, computational mathematics company. We are dedicated to providing innovative, yet practical solutions to our customer’s most challenging problems. 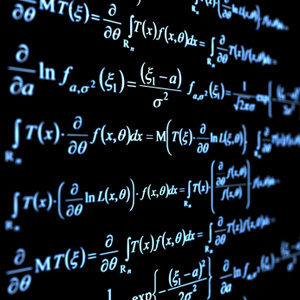 Through consulting services, custom algorithm and software development, and on-going support our team of highly skilled mathematicians, machine learning experts and computer scientists specialize in developing new approaches to real-world problems where existing tools and methods simply don’t work. For over a decade, NeurOK Software has been applying our core competencies in numerical linear algebra, computational geometry, geophysical modeling and advanced machine learning technologies to solve seemingly intractable problems for some of the world’s largest companies. From oil and gas exploration to chemical reactor process control to high-performance modeling and simulation of complex processes we help our customers utilize tomorrow’s cutting-edge mathematical concepts to solve today’s greatest computational challenges. Read more about NeurOK Software. We help our customers achieve their goals by delivering innovative solutions based on superior mathematics. SparSol is a high-performance tool for solving large sparse linear systems of equations, easily handling millions of unknowns. SparSol can quickly be integrated into existing analysis applications and is fully customizable to provide unmatched performance for customer-specific problems. LinCoS is a high-performance, parallel iterative solver intended for the solution of large linear systems of algebraic equations with complex coefficients. Machine learning is a field of computational science that uses many technologies to create systems that can learn and evolve from the data in their environment. NeurOK Software specializes in creating applications that leverage machine learning technologies to solve problems that traditional methods can not handle.